The Lawless Group provides consultations that range from analysis off site to one-day visits to multi-month and multi-year contracts. The Lawless Group exists to help Christian organizations, church denominations, and local churches to advance the Kingdom of God by working to fulfill the Great Commission of Matthew 28:18-20. We are particularly committed to strengthening the local church by providing relevant advice and concrete action plans for the congregations. With this commitment, The Lawless Group endeavors to provide personal and practical support to church leaders in the form of conferences, research, church health surveys, individual church consulting, articles and books, and other relevant resources. We believe that denominations and similar entities exist to serve the local churches, and we are committed to helping them empower the local church to accomplish its mission. The Lawless Group is an evangelical organization that subscribes to the basic tenets of evangelical Christian faith. Our consultants have extensive practical local church experience, theological training, and conference-leading expertise. Chuck Lawless, Ph.D., is the founder of the Lawless Group, and is considered one of the leading experts on the church today. He is the author or co-author of eight books on the church, including Discipled Warriors, Serving in Your Church Prayer Ministry, Nobodies for Jesus, and Membership Matters. He emphasizes the need for a strong biblical foundation in growing healthy churches. Pam Lawless serves as Senior Vice President for the Lawless Group. Her primary responsibilities include oversight and management of the Wake Forest, North Carolina office. Pam also assists with church interviews. Brandon Conner, Ph.D. serves as the Vice-President of Consulting Services for the Lawless Group and Senior Pastor of Mosaic Church Gulf Coast in Mississippi. He has served with Dr. Lawless in leading consultations in several states. He is also a contributor to the book, The Challenge of the Great Commission: God’s Mandate for the Local Church. Brandon’s wife, Stephanie, helps with church interviews. Kevin Hall, M.Div is the Vice-President of Marketing for the Lawless Group. He specializes in worship evaluation, contextualized urban ministry, and church security. Kevin served as a police officer in Kentucky and Michigan, and he and his family are now missionaries in Mexico. Tim Beougher, Ph.D., has extensive experience in church planting, pastoral ministry, and church consultation. The author of several books, Dr. Beougher also serves as the Billy Graham Professor of Evangelism and Church Growth at the Southern Baptist Theological Seminary in Louisville, Kentucky. Adam Greenway, PhD., is a professor who desires to help churches grow. 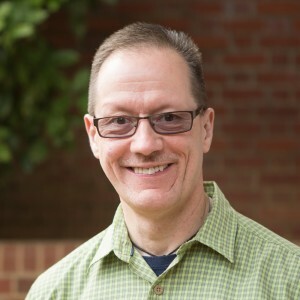 An expert in apologetics, Dr. Greenway is dean of the Billy Graham School of Missions and Ministry at The Southern Baptist Theological Seminary in Louisville, Kentucky. The Lawless Group provides practical and personalized resourcing for local churches and pastors that is grounded in biblically based church health principles. No one understands church health from both the biblical and practical perspective as well as Chuck Lawless. He takes the passion of reaching the nations, and places in the heart of the local church. The Lawless group found what was stifling the growth of our church and gave us a strategy to begin growing again.